In some contexts using reservation on sales orders, we want to be sure the reservation done (on a batch number for instance) is not allowed to be removed. 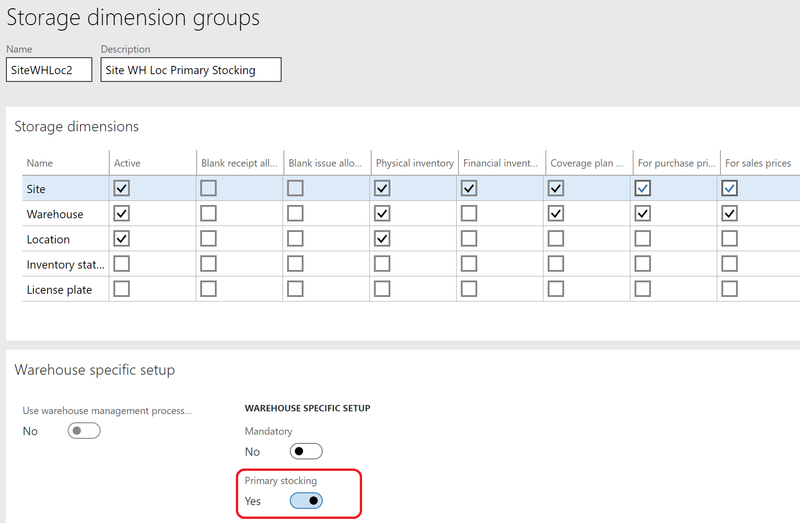 When we use the reservation functionality in MSDyn365FO, in a stock context – I’m not talking about the warehouse management but only simple stock management contexts – there is some locking options that needs to be detailed here because it’s not obvious at the first place if you want to use locked dimensions. First thing to know : it applies only when there is no on hand available stock. If there is some, and the reservation is setup to be automatic, the reservation will be done instantly just after the sales order line is saved, and the locking functionnality does not interfere here. When a purchase order is created for a specific customer need, through marking for instance, the locking functionnality make sense. The required setup is to allow the reservation on ordered items. In this first example, the product does not allow the negative stocks through its item model group. 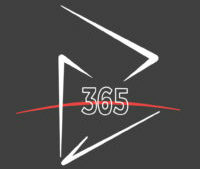 The reservation setup on the Account Receivable parameters is setup to automatic. There is no on hand stock on the 11 Warehouse and there is an existing confirmed purchase order with 2 lines and 2 different batch number for this product. When the sales order is created, for that specific item, the reservation is done automatically on the LOT1 (updated on the reserved ordered field). 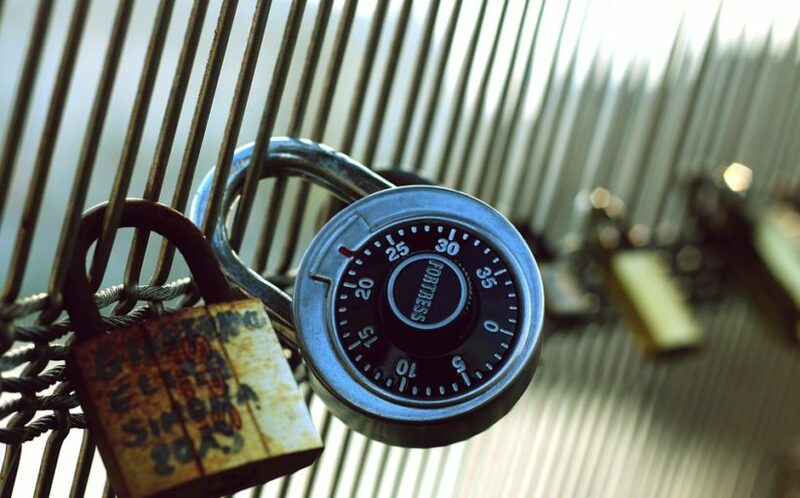 We clearly note that a part of the reservation (Sales order lines > Inventory > Maintain > Reservation) form is dedicated to the lock of the reservation. Note : be sure not to choose a CTP for Delivery Date Control, otherwise automatic reservation won’t work. Here, the Site and Warehouse are locked. For the Warehouse, you can unlock it if you want. But let’s add first a lock on the Batch number, as we want to be sure to deliver to that customer that specific LOT1. The immediate consequence is the linked purchase order line is locked. You cannot update it anymore. Let’s try to update the Batch number for instance on that line for LOT3. The message prompts : Cannot reserve the transaction again because dimensions are locked. Let’s allow the negative stock by ticking the Physical negative inventory in the item model group used for this item. Let’s analyse the consequences. If we try to update again the locked purchase order line on the batch number, we can do it this time. What happened ? The purchase order is now on LOT2 and LOT3, but as the reservation was locked for the batch dimension at the first place on the LOT1, it still is. Let’s go back to our first scenario with Physical negative inventory unticked, the purchase order on LOT1 and LOT2, and the reservation manually locked on the batch dimenson for LOT1. You know the FIFO default policy for batch reservation. Let’s observe when LOT2 is received before LOT1 on the purchase order. On the reservation form, we notice here the LOT1 is still locked for reservation, even if the LOT1 has not been received yet. In some situations, you may want the reservation is locked by default without any possibility to unlock it : that’s what happen qhen the checkbox is ticked an unavailable on the dimension groups visible on the reservation form. You can do that by activation the Primary stocking checkbox on the Tracking dimension group or the Storage dimension group. I’m going to create a brand new item with the exact same scenario as previously. I’m just gonna use the Batch-PS Tracking dimension group instead. What’s happened on the reservation form ? The reservation has been made against the LOT1, which is fine. But what is not is the locked dimensions. Batch number should have been ticked and unavailable (like the Site). He is indeed unavailable but unticked as well. Regarding the Location checkbox ticked, I have honestly no idea why it has been ticked – as the item is only available in Site/Warehouse – as as I haven’t change any setup on the Storage dimension group. If I’m trying to change the first purchase order line by updating LOT1 to LOT3, the error message is quite a bit different. The warning message says : There are transactions with statuts Reserved ordered for the dimension of item PRD-AUTO. And then follows the error message : Consequently inventory dimension cannot be changed. Storage dimension group : activated for Site, Warehouse and Location with the Primary Stocking checked (even if it seems to apply to Warehouse as it’s suggested…not totally true apparently). Every mandatory dimensions are locked. OK I would have expected not to allow the system to unticked/ticked the Location area. Storage dimension group : activated for Site, Warehouse and Location with the Primary Stocking checked. The result is the same as the previous case except the Batch number checkbox is not available for any update. Fair enough even if I would have expected the Batch number checkbox ticked. I still doesn’t know why the location was ticked for my first example. Well, I hope you can now use the locking functionnality when needed. I assume some bugs I found in Ax 2012 still remains here. 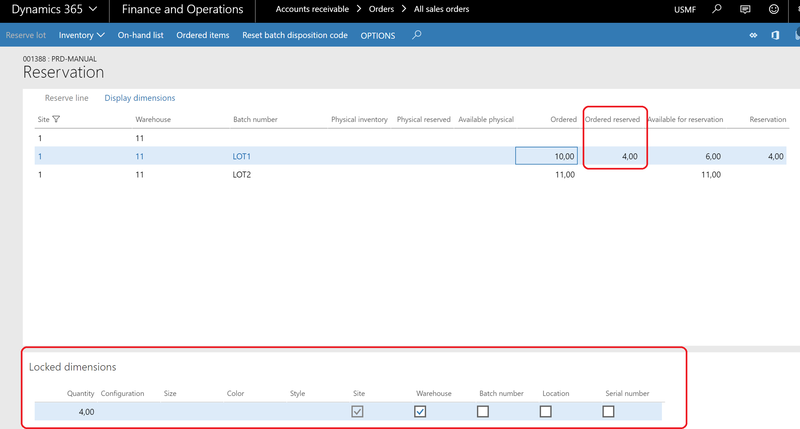 Partager la publication "The secret of locked dimension when using reservation in MSDyn365FO"